There have been some life-changing moments of late (more on that) and this summer has not disappointed! Coming off Holey Miss Moley's tour back in the spring, I went right back into the grind. Since my last update here's a few things that have gone down. 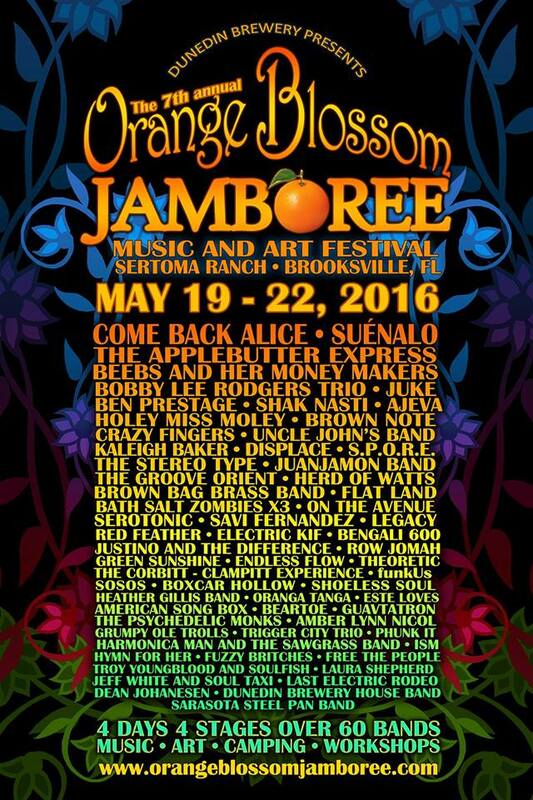 Orange Blossom Jamboree #8 (my 5th) was a wonderful time as always! Holey Miss Moley headlined on Saturday night (photo above), JOOSE had another packed out set, and I got to sit in with friends such as Electric Kif, The Groove Orient, Displace and Twisty Chris & The Pudding Packs. Speaking of festivals, the next one on deck is the Great Outdoors Jam 2017! Yours truly will be with Holey Miss Moley, JOOSE and will surely sit in with some friends at this one in my own backyard. Click the flier for more information! Leisure Chief recently completed our 2nd tour this past June and we were warmly received in a bunch of new markets in the Carolinas, Tennessee, and back home in Florida! This run was a whole lot of fun and you can live vicariously through some of the moments by clicking the poster to view some photos from tour. More to come in the fall! Coming soon will be Holey Miss Moley's tribute to the super freak himself: Rick James! We'll be doing 3 nights for this special performance across central Florida in Tampa Bay, Orlando and Jacksonville. You will not want to miss this folks! Had a sick recording session with a new project: The Bottom Feeder Band! The low end reached new depths in this session. Be on the look out for some rad gigs in the future with some media content on the way very soon! Last but not in the very least, I had the distinct of pleasure of getting to travel to China to perform with The Festival Singers of Florida at the Xi'an International Choral Festival just a couple weeks ago! Having never been out of the country, this was a life-changing journey being nearly 7000 miles from home. This group is wonderfully talented, and their mission of peace through voice is truly inspiring. My oh my has been going on in the past 6 months! I've been so busy between my musical and personal life that my site has been ignored admittedly. On the non-performing front, I've moved to Lakeland, Florida located nicely between the two markets of Orlando and Tampa Bay that I frequent often. With this move comes a plethora of events for yours truly for 2017. In October, I was able to cover my first event as press for my radio show at WPRK at Suwannee Hulaween and conduct several interviews including Karl Denson (The Rolling Stones & Greyboy Allstars), Martin Perna (Antibalas) and Chris Bullock (Snarky Puppy). An epic weekend to finish the year off at Hometeam New Years Rally 2017 in December (Audio and Video recaps coming of my "Year in Revue"). Control This embarked on a successful 10 day tour up the east coast, covering cities such as: Brooklyn, Washington D.C., Philadelphia, Richmond, Charlotte and Atlanta. I've recently begun a teaching position I'm excited about instructing young students at Beats & Tunes School of Music! With all that in the books, there is much to look forward to coming up! First of all, I'm glad to announce Holey Miss Moley's "Shake It With Me" Tour! We'll be traveling across 11 states and 36 venues across the Midwest and East Coast in just under two months. We've already delved into the first week and the band heads out of state for an entire month starting on Saturday. With my busy schedule, I'll be reconnecting with the guys in New York at Rockwood Music Hall on March 19th. While on tour we will also be receiving our debut album, Live at Hometeam New Years Rally recorded this past December! We would like to thank Cody & Jenelle Bean for having us at Hometeam, Dave Swick of Paradise Recording for the mixing and mastering, Receptor Sound and Lighting for the stage sound, all the guest musicians who joined us on this set, and of course of all our fans who've supported us over the years. We are picking up physical copies on tour and will have them when we return home in April. Click the flyer below to be redirected to the event for tickets and more information! JOOSE has been laying low since our sets at the New Years Hometeam Rally preparing a lot of new music. Since that time we're stoked to say we've added fantastic guitarist and creative enthusiast, Justino Lee Walker (Justino & the Difference) to the group! This group is really starting to gel and we are cannot to perform what we've been working on. Until then, listen to "Flight of the Kiwi" by clicking on the photo below and check out www.joosetheband.com for our upcoming shows and more updates! Been some time since the last update. I'm currently writing to you on road with Leisure Chief for our August tour. We are teaming up with many friends around the state of Florida: Tampa, Dunedin St. Pete, St. Augustine, Jacksonville, Miami and back in home in Orlando. Check out the poster below and see us in a town near you! The first phase of he 5th Annual Hometeam New Years Rally has been announced and I'm elated to say it is the biggest one yet! Not only am I privileged to be an Artist at Large once again but my next Revue Ensemble is on deck for New Years Eve night. 2016 has marked a notable year of musical greats that have left us. Prince, David Bowie, Maurice White (Earth Wind & Fire), Phife Dawg (A Tribe Called Quest), Bernie Worrell (Parliament-Funkadelic), Keith Emerson (Emerson, Lake & Palmer), etc. This set will be paying tribute the greats we've lost in 2016 and will enlist an array of talent from Florida and beyond. To my knowledge, there hasn't be an attempt quite like this so far and am excited to take on this project! Lastly, I'll be staring up a new jazz trio residency on Sundays from 11am-3pm at Lafayatte's Orlando with my good friends Patrick Dunn on keys and Joey Lanna on the kit. You can check out their full music calendar here. More new music is coming folks! Control This just got off a wonderful Skipper's Smokehouse performance backing ska legend, the original Symarip, Monty Montgomery (of The Pyramids) and will be dropping our debut record at the end of April. We'll also be hitting the road to Atlanta, Asheville, New Orleans and more starting in the summer. Very much looking forward to that and touring this release! But wait, there is more! Bengali 600 will be dropping an EP/7" release in the near future as well. We recently debuted our first track on MusicFestNews.com entitled, "Female Love Interest". For my Bay area friends, we'll be hitting New World Brewery this Friday where you can hear that track and an evening full of Afrobeat tunes. Click the photo below to read the aforementioned article. Whew...these past few months have been so busy I've almost didn't get a chance to tell you all of the exciting things that have been or are about to go on! First of all, 2015 was an unbelievable year filled with countless memories that were made, new records broken, new bands formed, and so much more. You can recount my top 10 moments of 2015 on my blog and check the graphic below to get an idea of all that transpired! Little Econ Festival has finally arrived this weekend! I've been hard at work preparing for 7 different sets including 2 tributes to Frank Zappa (Christian Ryan's Garage) & Parliament Funkadelic (w/ Holey Miss Moley) to coincide with Leisure Chief, Holey Miss Moley, Bengali 600, A Thousand Wolves and Ancient Sun! Thank you all who’ve been following this event! Whether it’s been reading these posts, tuning into the radio segments, or talks in person; this endeavor has been quite a journey. I started planning this set in September when I received the call to do another “revue set” as this music needed as much preparation as possible. I’ve even grown my out my own hair during this stretch in a form of method acting if you will. Frank Zappa was a genius in all qualities of the word both musically and intellectually. Every nuance in his compositions had a purpose whether it was theoretical, textural, satirical or otherwise and I’m still learning new intricacies throughout this set. He was a workhorse, writing at every possible moment: on the plane between shows, the wee hours of the morning, changing arrangements every night, in the hotels, etc. All in the pure effort to get the music out of his head onto paper. As I’ve stated previously, he currently has 100 albums released and archived essentially every show he performed. He wrote music for his various ensembles ranging from a 5 piece rock band, to 19 piece big band, to the London Symphony Orchestra, to guitar or synclavier only pieces, to Tuvan throat singing. He directed/wrote/arranged/produced multiple films at the same time. He was also political active and many of his points are still noteworthy today. And everything he learned, he read at the library and/or taught himself. With the Garage, I hope to give his works justice and bring his music to newer audiences. I have assembled some of the best musicians I know from around the southeast to perform this set and with that in mind, it’s still very TOUGH. If you’ve never given Zappa a listen, this is set is for you. Also in February, Leisure Chief is finally releasing our debut album, "King of Nothing" at Will's Pub on Monday, February 22nd! This has been a long time coming for us and we are excited to finally get the music in your hands. The full 8 piece band will be featured and it's a recording I am quite proud of. Fall Update #2: Leisure Chief added to Hulaween, revue #2 coming to Little Econ 2016, double run with Kung Fu, and sitting in with music legends! What a beautiful string of moments that has occurred in just the past month! So many exciting things to share friends. First of all, Leisure Chief has been added to the Thursday pre-party to Suwannee Hulaween this upcoming week! It's a tremendous feeling to have both full-time projects I'm involved with a part of the milestone event waiting to happen. We'll be bringing the full horn section with us as well for a special set! Make sure to get there early as we kick the entire festival off at 3pm. The cat is out of the bag! My 2nd Revue is coming to Little Econ 2016 and this time it's completely different. This go around I will be paying tribute to not only one of my favorite musicians & composer, but to one of my favorite humans: Frank Zappa! I've assembled another all-star cast to pull off what very could be the most ambitious project I've taken on. Mark February 11th-14th on your calendars y'all! One of my favorite groups on the festival circuit is finally returning to Florida. Kung Fu will be doing a string of dates joined by my highly talented Miami homies in Electric Kif. I'm excited to host them in Orlando at Red Lion Pub with Leisure Chief and then join the Tampa billing with Holey Miss Moley! View the run below and I hope you'll make plans to join us for these epic shows. I join the festivities at 47:55 and then Victor graces the stage at 1:06:30! "When the Saints Go Marching In" with a New Orleans Legend! Fall Update #1: Holey Miss Moley added to Hulaween, Soulquarian Revue set now available, Hometeam New years rally phase 1 announced, College Park Jazz Fest with Evan Taylor Jones, Peter Tosh Tribute, and Come Back To the Future Vintage party! The wait is over! The entire audio from my headlining set at Little Econ Love Fest this past March with my Soulquarian Revue is up. You can now stream, download, browse the liner and more at this bandcamp link below. More festivals! The Hometeam New Years Rally's initial lineup is out. I'll be performing with Holey Miss Moley so far and I'd wager there's more to come...always a great way to ring in the new year! On October 17th, I'll be performing quite a contrasting double duty. Evan Taylor Jones' full band will be performing at the College Park Jazz Fest and then I'll be heading to Will's Pub for a special tribute show to the legend of reggae, Peter Tosh with Control This! Lastly just before the Halloween festivities, I'll be appearing as an Artist at Large for the Tampa/St. Pete Back to the Future Party or should I say "Come Back to the Future Vintage" Party! It will be held at the Crowbar in Ybor City commemorating the exact date depicted in the classic film on Wednesday, October 21st. Performing will be Come Back Alice, Future Vintage and Row Jomah, so my horns will be busy. 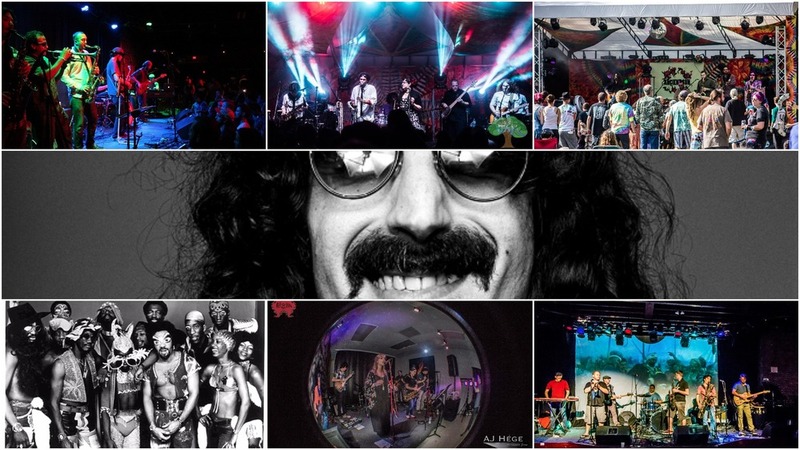 Summer update #2: Motet & "on the come up" recaps, holey miss moley invades jacksonville, getting down in suwannee again, Leisure Chief jamming with Austin & New orleans heavy hitters, Earthdance 2015 and ringside's six ring circus! I had the opportunity to play two notable shows these past couple Thursdays. 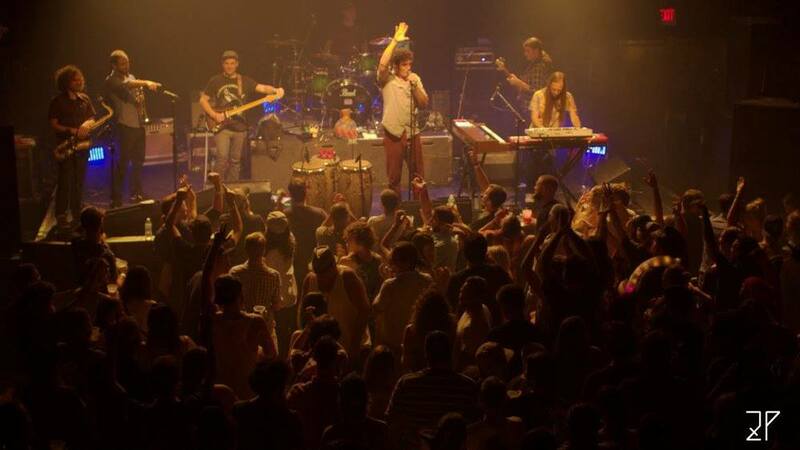 August 20th I was asked to fill in with one of my absolute favorite Florida groups in Serotonic as they opened for Denver funk staple, The Motet at the State Theater in St. Petersburg! It was a packed house and a tremendous success for us and I was honored to be apart of the occasion. Videos and an official review are coming soon but in the mean time, check out this sweet shot! Hope to play with Serotonic again soon. Moving forward to the current times, this weekend Holey Miss Moley is trekking up to Jacksonville for a stellar run of shows! Highlighted by our good friends S.P.O.R.E. 's CD Release at the 1904 Music Hall on September 5th, we will also be performing at Lynch's Irish Pub on the beach Friday and Artists for Autism Benefit for Autism Speaks on Sunday. This promises to be a fantastic weekend of friends and funk! On August 1st, I had a wonderful time with HMM at Roosevelt Collier's Suwannee Get Down #2. I'm excited to say I'll be heading right back up to Suwannee Music Park on September 11th-12th with Leisure Chief as we are closing out the 3rd Edition! You can click the photo below for tickets. $30 advanced for two days of camping in one of the most beautiful parks in the country and great music? Virtually impossible to beat that! The following week Leisure Chief will be doing a couple shows back home with some regional heavy hitters. On Monday, September 14th, we will be playing with Austin's jazz/funk/fusion sension, Progger who is doing a run with Miami's counterpart Electric Kif. Then we welcome our homies from New Orleans in Loose Willis at Tanquerays on Thursday, September 17th. For all the musicians and funk heads, these shows are for you! Immediately following those performances Holey Miss Moley heads off to Earthdance 2015 at Maddox Ranch on September 18th featuring a stacked 4 day lineup of performers from across the country! Then we return to St. Pete for an epic Hometeam bash for Ringside's Six Ring Circus featuring HMM, Serotonic, Displace, NoNeed, Dropin' Pickup and K-Slat presented by Don't Fret Entertainment! The summer solstice is upon us and that means more updates! The Evan Taylor Jones Crew recorded a live EP at Sunray Recording Studio in April and will be releasing it on Saturday, June 13th! In the meantime you can peep the video below for taste of what the record will sound like. It's always great to capture the energy you can only obtain through live performance! Leisure Chief has a lot of big things coming up I can't quite reveal just yet but I can announce this groovy show come July! We'll be opening for local hip hop hero E-Turn for her new release "ESP" at the Social on Friday, July 10th. I had the pleasure of recording some horn tracks on this record and can say it's absolute fire! Holey Miss Moley is pumped to announce we have some fresh shirts for sale courtesy of London 1888! You can click the image below and you'll be directed to the online store to purchase your own. Look at all those colors and designs! Little Econ Recap, LIon's Den Grand opening party, ANCIENT RELEASES DEBUT ALBUM, New Savi Fernandez Band Album, Florida Music Festival performances, and Festival season in Full swing! Finally have a chance to recap after a phenomenal weekend at Little Econ! Where to even begin? First to give credit where it is due: Trey Miller, it has been an absolute privilege to witness the growth of this dream and it's impact on the Orlando community. You and the rest of the What'sit Records crew did a phenomenal not only assembling a highly talented roster, but making sure everything went smoothly the entire weekend. Our city was represented very well and I think it opened the eyes of many who may have once looked over us in the festival market. Bridging the gaps between scenes is something I strive for constantly and you guys did just that. I heard often times, "I've never heard these guys before, they are great"; and I would often respond, "Yeah, they are from Orlando." To all my bandmates between Bengali 600, Ancient Sun, Leisure Chief, Holey Miss Moley and Evan Taylor Jones, it was excellent to play and have all of you guys in the same event. I felt all the sets went nicely and had constant buzz about each one whether it was "Who were those guys?! ", or "I'm so glad I finally got to catch that band", or "You all have come such a long way" and it speaks a testament to the musicianship I am fortunate to be surrounded by. Easily one of the best moments of my entire life! Despite my anxious state coming off of back to back sets ending in 4 and half hours of straight playing, it truly came together about as well as I could have hoped under various circumstances and went by so quick. Some of those songs were never even performed together as a unit till that very set and it is a statement to the skill of the roster involved. It was very hard organizing all this between the various cities/bands on top of everything I'm involved in but it was a challenge I wanted, that panned out very rewarding. To all the other 25 musicians involved from 14 different bands, I cannot thank you enough for this remarkable moment. All I wanted to do was play and share some of my favorite music, bring together many of my musical peers from over the years in one place, present this music to people who may have not known it, and show that we can only grow together; and it did more than that. To bring in songs from Erykah Badu, The Roots, Common and D'Angelo to a festival was oh so excellent. The immediate feedback was overwhelmingly positive and I loved seeing so many different people's faces in the crowd when they heard one of their favorite songs and starting moving up front to join in. I heard many tremendous comments from notable people such as "Hometeam evolved after that set. ", "That production was leaps and bounds over anything I've ever assembled", "We need to get the Christian Ryan fest going!" or "That was best thing I have ever seen at any festival." To have that kind of impact on my first headlining slot at a festival was extraordinary. Lastly to those who've been asking, my entire set was recorded and I will have full audio and video to share soon with many more photos like the one below to come! Be on the look out for what I may have in store next year Little Econ...perhaps this will be a trend? Last month, I had the pleasure of joining the guys from Ancient Sun for their debut CD Release show at House of Blues to a packed house! You can now listen to "In The Fold" on any major music distribution outlet and click the photo below to be directed to their Bandcamp. Proud to be their 5th Beatle on much of the record! Another album that yours truly was involved with will soon be dropping! Reggae/Funk artist Savi Fernandez releases his 2nd album entitled From My Heart at the end of April and pre-orders begin online on April 9th! I recorded all the horns on this record and can personally say this is by far his best album and features some additional stellar musicians such as Tommy Shugart from The Groove Orient and Katie Burkess from the Legendary JC's. Click the photo below to pre-order a digital copy of the album on iTunes! It's April and that means the Florida Music Festival is upon Orlando! This year is a special occasion where all performances will be no cost to the public!!! Gov-Fest Recap, Suwannee Disc Jam with Leisure Chief, 6 Bands for Little Econ Love Fest, Artist at Large for Great Outdoors Jam 2015 and Official Flute Announcement! Fresh off a road trip back from Mobile, Alabama with Green Sunshine for some Mardi Gras festivities; it was an excellent weekend to say the least! Thanks to the GS crew for having me along for the party. Where to begin...how about Gov-Fest?! The full line up to the 2nd Annual Little Econ Love Festival at Maddox Ranch has been announced! Pumped at the additions of the Evan Taylor Jones Band and Bengali 600 (both festival first timers) which will total 6 groups for yours truly: Holey Miss Moley, Leisure Chief, Ancient Sun, ETJB, Bengali and my Soulquarian Revue! Just announced: The Great Outdoors Jam will return to Maddox on the July 4th weekend and yours truly will be an official Artist at Large! Headliners include Pigeons Playing Ping Pong (Baltimore, MD), The Fritz (Asheville, NC), Big Something (Burlington, NC) The Hornitz (Boston, MA) and many local favorites including Cope, Come Back Alice (performing "Eat a Peach" by the Allman Brothers), Squeedlepuss, Holey Miss Moley with more to come! Finally, to make it official to those who haven't heard, I am now incorporating doubling on flute into my many projects. Starting out the year on a great note, Tuesday night I returned to Sunray Recording Studio to film a brand new DVD album with Leisure Chief! We performed new material in front a small audience of our close friends & fans and it was quite a success. A release date will be projected soon but until then, be on the lookout for this DVD and our new recorded album in the works. More good news: On January 30th, I'll be returning to the House of Blues with Evan Taylor Jones for a FREE show with great Orlando talent. We are excited to be joining the Groove Orient for their CD Release Show of "Generation Y"! Also on the bill is rock/reggae favorites Hor!zen, and folk hero Laney Jones & The Lively Spirits. This promises to be a great night of local tunes! What's that there?... "Litte Econ Love Fest...Christian Ryan's Soulquarian Revue?!" That is right y'all! Coming to Maddox Ranch on March 28th, I will be hosting a revue ensemble paying tribute to the Soulquarian Movement from '97-'03 at Electric Lady Studios. Songs from Mama's Gun (Erykah Badu), Things Fall Apart & Phrenology (The Roots), Like Water For Chocolate (Common),and Voodoo (D'Angelo), will be performed. The ensemble will feature members of several bands between Orlando and Tampa Bay areas that I have worked with including but not limited to: Leisure Chief, Ancient Sun, Holey Miss Moley, Fat Night, Green Sunshine, Beebs and Her Money Makers, Come Back Alice, Ajeva and more! For fans of neo-soul, hip hop and funk, you will not want to miss this!!! WOW! What an inspirational weekend at Bear Creek Art and Music Festival a couple weeks ago! It was refreshing to be able listen & study to a plethora of great bands and masterful musicians. If you have never been, I highly suggest never missing this festival ever again. Although I went as a spectator, I was invited by my friends from Green Sunshine to play a tune on their set shortly after I arrived. You can watch a video of that here! First of all I would like to announce that I attained my goal of 200 shows for 2014 on October 14th! When I came to back to Florida, my new year's resolution was to play 200 gigs and I am humbled to be in such demand and to have been able to accomplish this. In 11 months I have collaborated with over 50 bands, whether on stage or in the studio, and have been featured as an Artist at Large for 5 different festivals which was always a dream of mine. It has truly been a special year! As you previously heard, I had the opportunity to have a live video session with Holey Miss Moley at Sunray Recoring Studio. At the end of last month I was able to bring in Leisure Chief and I-Resolution in as well and new clips have been posted, which you can check out below and on my 'Videos' tab. Here's latest releases from all 3 sessions with more to come! Here's a special show to announce! Holey Miss Moley will be doing an entire set of Meters tunes at the one and only Skipper's Smokehouse in Tampa with our friends Come Back Alice who will be playing the Allman Brothers' "Live at the Fillmore East" in it's entirety! Do not miss the one time occurrence Tampa friends! The year is coming to a close, which means it is time to start gearing up for the 3rd Annual Hometeam New Year's Rally! I was fortunate enough to play at the very first Hometeam affiliated event back in 2011 and it has been beautiful to see the local Tampa Bay area community come together as a thriving music & arts fanbase. This year I have the honor of being an Artist at Large as well as performing with Holey Miss Moley! As always I’ll be at Tanqueray’s Bar with Leisure Chief every Thursday night, Control This every 1st Monday of the month and Evan Taylor Jones every last Wednesday of the month, in addition to several Twisted Tuesdays at Red Lion Pub! September has truly been an excellent month for yours truly. As Bamboo Jamboo 2014 comes to a close, I tally up a new record of 14 sets with 12 different bands throughout Friday and Saturday. It was real treat to sit in with so many great bands from the central Florida scene. Time for some more updates! Fall Update: Artist at Large for BambooJamboo, Earthdance 2014, ETJB's Monthly Residency at Tanqueray's, 1st Show at Freebird Live in Jacksonville, and New Afrobeat Project! This summer has been a real treat from Orlando, Jacksonville, Tampa and everywhere in between. Blackwater Music Festival was a blast and I had a great time playing with Soul Taxi and sitting in with S.P.O.R.E. As nature cools down for the fall (maybe not for us Floridans), my schedule only heats up. First off, I am thrilled to announce I shall once again be dubbed as an 'Artist at Large', this time for BambooJamboo on September 26th-28th! I’ll be playing full sets with Leisure Chief, Holey Miss Moley and Ancient Sun as well as hopping in with several bands in between. The main headliner includes the one and only Legendary JC’s, so you shall not want to miss this secluded showcase of Florida music and arts. Click the lineup below to get your tickets. There is a LIMITED capacity of 300 for this, so get em’ while you can. 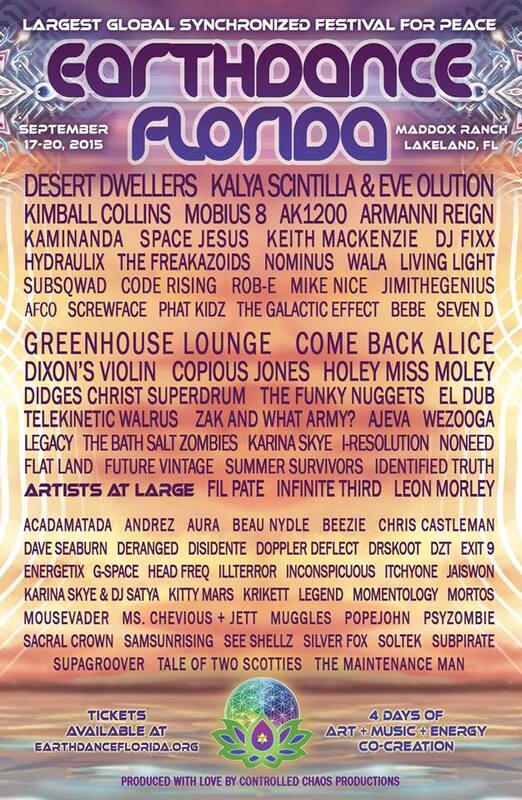 Just before that however, I shall be playing at Earthdance Florida 2014. This is a massive festival that occurs all over the world during the 3rd weekend in September and I am excited to represent Florida music for this! I’ll be performing with Holey Miss Moley and the Legacy Orchestra Collective. You can obtain your tickets from either bands or through the Red Lion Pub in Winter Park! ETJB's new North Avenue session should be up shortly. In the meantime, you can now catch ETJB at our new monthly residency at Tanqueray’s Bar in downtown Orlando on the last Wednesday of every month! I'm also excited to be playing my 1st show at the great Freebird Live in Jacksonville Beach with I-Resolution. We’ll be opening up New Kingston via Brooklyn, NY. For friends in the area you can get your tickets here. Lastly, I'm thrilled to announce I'll be joining a new Afrobeat band called Bengali 600, on baritone/alto saxophone! This group features some top notch musicians in the Orlando scene and I'm privileged to contribute. My first show with the band will be on Sunday, September 14th at Will's Pub in celebration of their 19th Anniversary. Be on the lookout for future shows in the months to come! Summer Update #2: Ancient Sun Kickstarter, Buster Keaton Name Change, Special Guest for Blackwater, Nominees for Orlando Weekly's "Best of Orlando" 2014 Issue, Evan Taylor Jones Off the Avenue Session, Holey Miss Moley hits the Lab, and More Shows! It has been a beautiful summer so far for yours truly! I hope everyone had a wonderful 4th of July weekend. The Great Outdoors Jam was a great success despite the weather attempting to keep the good times down. With so many things going on lately, I figured a new update was needed. First off, Ancient Sun has launched a Kickstarter to raise funds to make their first full length album "In the Fold"! Make sure to click the photo below to donate and pass the link on to your friends. These gentlemen are some of the hardest workers in the Orlando scene and this album is long overdue! Secondly, If you have not heard, due to trademark issues we Buster Keaton, have changed our name to Leisure Chief. Everything else will be the same: music, members, Tanqueray's every Thursday, etc. It is just part of the process we need to undergo to take the next step as a band and if you haven't heard us lately, we've been working on a lot of tunes and have many things in store we are excited to begin moving forward on. Right now, all of our pages are in the process of shifting over and we are currently obtaining artwork for the new style. The official announcement will take place this Saturday on 89.9 WUCF as the band will be playing live on the radio from 6pm-7pm featuring my good friend and excellent saxophonist, Jonathan Cestero, in my place as a special guest due to prior commitments from yours truly! Stoked to say I'll be heading back up to Suwannee Music Park at the end of August for the Blackwater Music Festival! I'll be appearing as a special guest with Jeff White & Soul Taxi on baritone sax with Eric Christian from Beebs and Her Money Makers appearing on tenor sax as well, adding the full horn section for this special occasion. Check out this phenomenal reggae lineup y'all! Orlando Weekly's famous "Best of Orlando" issue for 2014 has reached the final nominations for run-off voting! Quite a few of the acts and places I perform with/at have received the privilege of being listed. Evan Taylor Jones (Best Soul Act), I-Resolution (Best Reggae/Ska Act), Control This (Best Reggae/Ska Act), and Ancient Sun (Best Rock Act) have all been listed as well as Red Lion Pub (Best Bar Smoking, Best Dive Bar and Best Open Mic) and Tanqueray's (Best Live Music Club) that I frequent constantly. Please follow the link in the picture below and help out these groups, as well as voting for your favorite things in The City Beautiful! Other exciting things coming soon include that I will be returning to North Avenue Studios this time with Evan Taylor Jones recording a video for the popular Off the Avenue series! We'll be recording "Over Your Shoulder" with some surprise special guests joining us to get a HUGE sound. Coming in August, Holey Miss Moley will be taking some time off to regroup our new lineup adding and write an album's worth of new material for our fall festivals to come. Get ready Earthdance Florida and Bamboo Jamboo! Summer is in the Fold: Return with I-Resolution, The Great Outdoors Jam at Maddox, Party Bus with Evan Taylor Jones, and North Florida Dates! What a phenomenal span these past few months! I'd truly like to thank those of all who have made it one of the most enjoyable musical stretches I've ever had. From New Orleans, to OBJ, to SunFest, Spring Jambando, Bands on the Sand; it's been beautiful! As May now comes to close, I have a few cool announcements for the summer. 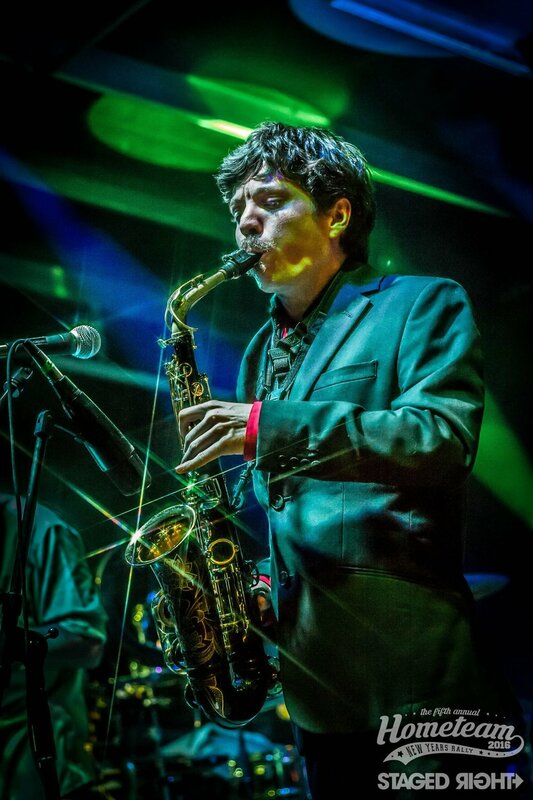 First of all, I will be keeping the saxophone seat warm once again for Orlando's Best Reggae Act, I-Resolution! Thrilled to be making music again with these guys and having the opportunity to open for several touring reggae acts such as Midnite and Passafire already in the books! As another fantastic Orange Blossom Jamboree came to a close, another new Florida Festival is coming: The Great Outdoors Jam! I'll be returning to Maddox Ranch as an Artist at Large as well as sets with Holey Miss Moley and Legacy. Always great to be a part of the initial lineup of what will surely be another great recurring event to our scene. You can get your tickets here and view the schedule that was just released. But before that ensues, I am excited to announce that I'll be returning to the Ocean Deck beach stage in Daytona Beach with Evan Taylor Jones! To celebrate we are taking a charter bus with our most dedicated fans. Included is travel to and from Daytona from Orlando, free drinks and an album and/or shirt for just a little more. Don't miss out on this unique opportunity to hang with us! Lastly, it's cool to finally say I have some dates coming up in new places North Florida! This summer you can catch me in Jacksonville, Pensacola, and more to announce. So for all of you in these areas, stay tuned as I am finally coming to a city near you! July 5th - The Great Outdoors Jam at Maddox Ranch in Lakeland as Artist at Large as well as sets with Holey Miss Moley, Legacy and more! And as always, I'll be at Tanquerays in downtown Orlando every Thursday with Buster Keaton and several Tuesdays at Red Lion Pub for Twisted Tuesday! Festival Season Has Arrived With A Lot of Goodies: Spring Jambando Artist at Large, New Orleans in Sight, Ancient SunFest, Holey Miss Moley Album, Orlando Musicians Magazine Contributor and more! March ended with a bang this weekend at Little Econ Love Festival out at Maddox Ranch! Thanks to all the musicians who let me play with them, the What’sit Records crew for throwing a great event, HomeGrownRoots for running the main stage, Chris and Teanna from Just Baked Sweets and Treats feeding everyone, and of course all the people who attended. Time for some updates! First of all, I’ve officially been confirmed to be an Artist at Large for this year’s Spring Jambando at the Plaza Theater on April 26th! This is the 1st time they have ever had featured individual performers and I am honored to have even been considered for this roster. I will also be performing with Buster Keaton and Holey Miss Moley. Make sure to attend this always stellar display of Orlando music! Can you say Jazz Fest?! Buster Keaton will be taking a road trip to New Orleans during the 2nd week of Jazz Fest to perform at the Vibe Sessions on Thursday, May 1st. I’ve personally been meaning to go to New Orleans for a long time and we are all avid to be making the trip to not only perform but witness some of the best music in the world. For more details, make sure to check up to date with Buster Keaton Music! As you may have heard my good friends from Ancient Sun will be performing at this year’s SunFest in West Palm Beach. I am thrilled to announce that I will be joining them as a special guest for their performance on Saturday, May 3rd. Stoked to be a part of such an unbelievable lineup! Finally, due to the recent discovery of my apparent untapped blogging prowess, I’ve officially joined local music publication The Orlando Musician, as a contributing writer for the Orlando scene. Very neat opportunity! You can read my first article that I took from my blog here. You can catch all the dates in-between, on my "Shows” tab at the top of the page including several Twisted Tuesdays at Red Lion Pub and every Thursday at Tanquerays in downtown Orlando with Buster Keaton. Lots of fantastic things coming up folks! First of all, I have officially been named an Artist at Large for Little Econ Love Festival 2014 at Maddox Ranch on March 28th-30th. Beyond thrilled for this opportunity and have already confirmed 15 appearances throughout the weekend including band and DJ sets. I will also be performing full sets with Holey Miss Moley and Buster Keaton. Get your weekend tickets for only $30 here. Who likes free things? Of course you do! On March 8th I will be performing with Evan Taylor Jones and his full band at the House of Blues. We have free tickets, so make sure to contact one of us to get one. They are also currently available for pick up at the Red Lion Pub. Buster Keaton is recording our first full length album!!! Three successful sessions already in the books, I can't wait for you guys to hear it. In the meantime to hold you over, you can check out the EP which is now available on iTunes and Spotify. February 26th - Ringside Cafe in St. Pete with HMM alongside the Corbitt Brothers Band. For the dates in between and down the road, you can check out the "Shows" tab above! Thank you for visiting my new website. Here you can find all the information to stay up to date on where I'll be performing next, who I'm playing with, plus so much more! While much of this actual site I put together myself, I'd like to thank all of those who helped me behind the scenes including the musicians, photographers, designers, and friends & family. I hope you enjoy the site and I appreciate the continued support! P.S. You can be the first to receive the latest on new projects, added shows, music, blogs and more by signing up to my newsletter on the bottom of the page as well liking my Facebook page at the button above!